WASHINGTON — The United States cannot fall behind other nations in satellite innovation, President Donald Trump’s nominee to lead the U.S. intelligence community said Tuesday. “We cannot afford to be behind the curve in terms of development of both the offensive and defensive capacities that we put up into space,” said former U.S. Sen. Dan Coats (R-Ind.) during a confirmation hearing before the Senate Select Committee on Intelligence. 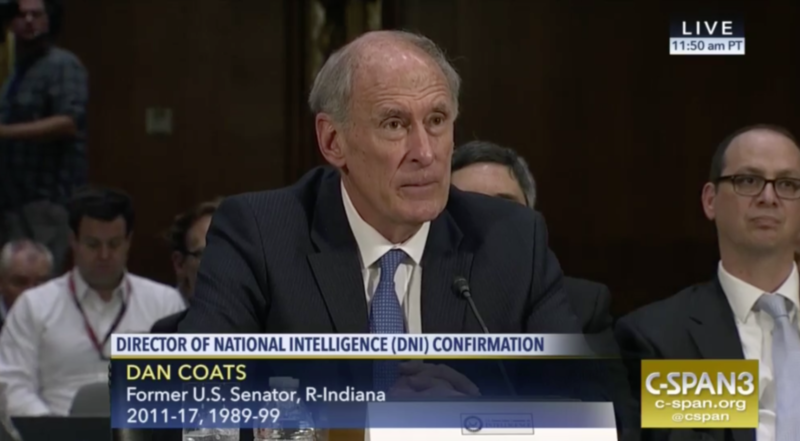 Coats is Trump’s nominee to be the director of national intelligence, the point person in charge of overseeing the nation’s various intelligence-gathering agencies. But he expressed concern that the process for acquiring and launching space capabilities is currently too slow. Pointing to India’s launch Feb. 14 of a Polar Satellite Launch Vehicle that deployed 104 satellites from a single rocket, Coats said the U.S. needs to remain on the cutting edge of what’s possible in space while keeping an eye on what other countries are doing.